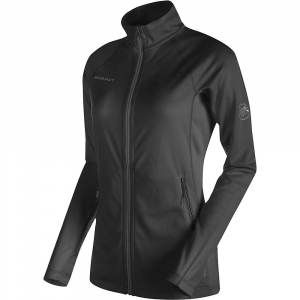 Mammut Aconcagua Pro Hooded Midlayer Jacket - Men's Black-Black Melange. The combination of two high-quality functional fleece materials ensures an optimal body climate while the robust Polartec Power Stretch Pro keeps you extremely warm. The mid-layer is complemented by elastic Pontetorto Tecnostretch which delivers optimal moisture management thanks to the waffle structure on the inside and boasts a non-bulky low volume. 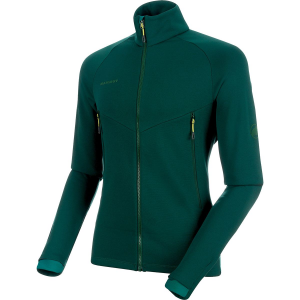 The Aconcagua Pro ML Hooded Jacket Men is the ideal mid-layer for climbing mountains. You'll notice your axe swinging into ice and your climbing shoes gripped on granite, but you'll barely feel the Mammut Men's Aconcagua Pro ML Hooded Jacket even though it's keeping you warm and dry on grueling alpine missions. Taking its name from the highest peak in the Southern Hemisphere, the Aconcagua Pro ML Hooded Jacket is the most technical fleece in Mammut's line, making it ideal for mountaineering, ski touring, and long days at the crag. 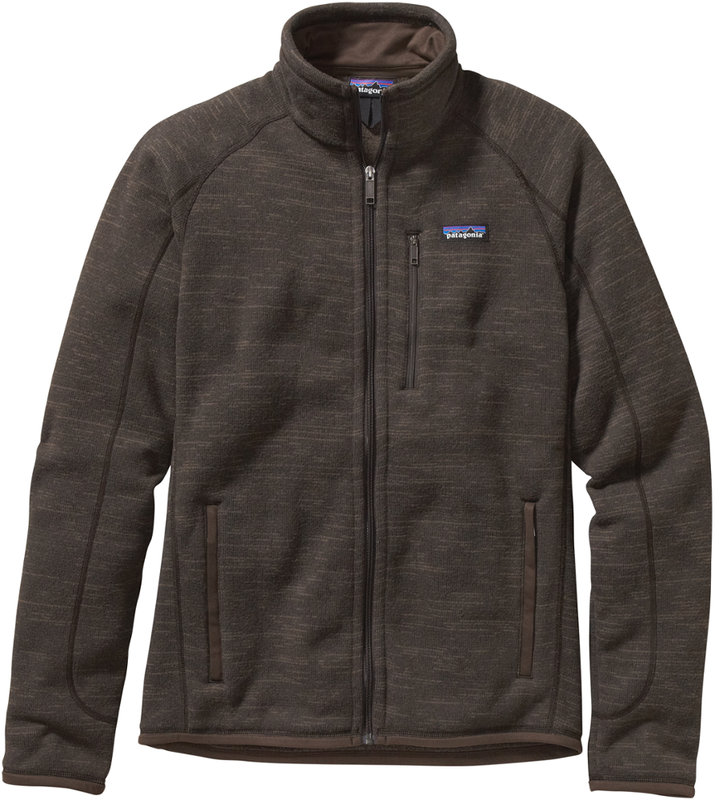 Not content with merely being a standard fleece, the Aconcagua Pro ML Hooded Jacket places a number of strategically engineered fabrics for superior warmth, quick-drying comfort, and uncompromising stretch. Polartec Power Stretch Pro is used for the majority of the fleece, so you'll reap the rewards of a highly flexible, soft-wearing, and quick-drying fabric directly against your skin. Mammut then reinforces the fleece with an abrasion-resistant nylon face, combined with an elastic hip panel that flexes with ease and won't bunch underneath a climbing harness. The Mammut Aconcagua Pro ML Hooded Jacket uses a Polartec Power Stretch Pro fleece that's resilient stretch moves with you, and it offers enhanced durability, high breathability, and extreme moisture management thanks to the gridded interior. Thinner Pontetorto Tecnostretch panels accommodate climbing helmets and harnesses. 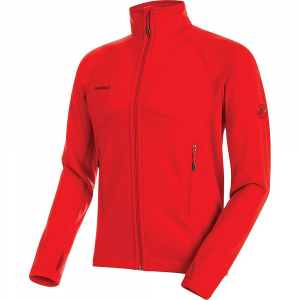 Mammut Men's Aconcagua Pro ML Hooded Jacket - The Men's Aconcagua Pro ML Hooded Jacket by Mammut is a combination of two different functional materials making it the first choice when it comes to mid-layer insulation. 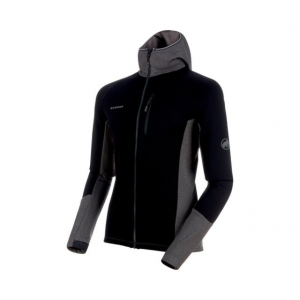 It is very robust and abrasion resistant due to its Polartec Power Stretch Pro fabric with nylon face. 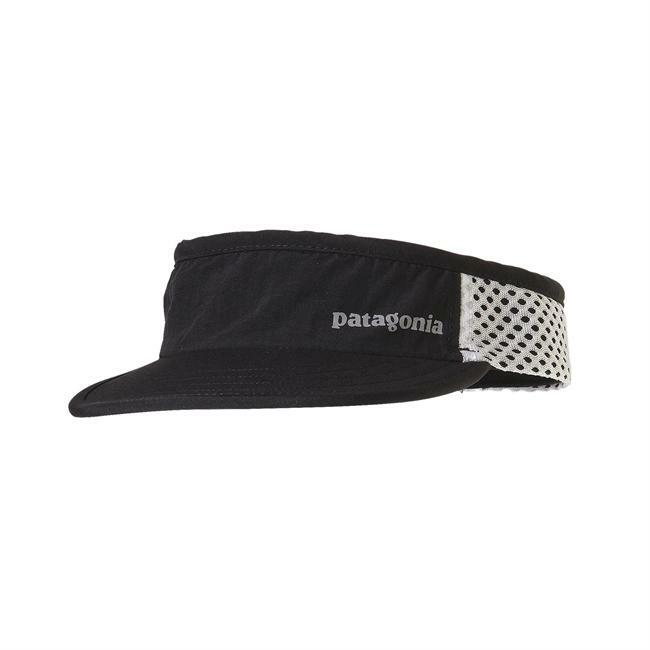 Durable and fast-drying on the outside yet soft and warm on the inside, the elastic inserts offer optimum freedom of movement, while the waffle backing retains heat. A thin, elastic material in the hip area avoids creating too much bulk under a climbing harness or when you are in pants. 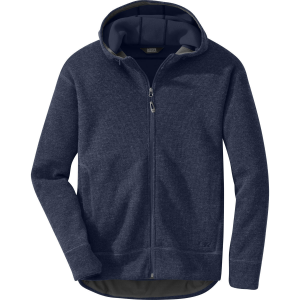 Other features include a close fitting hood, a chest pocket, flat lock, non-protruding seams, and thumb loops made for comfort and durability. The next time you are climbing and the wind kicks up, you will be glad you have your Mammut Men's Aconcagua Pro ML Hooded Jacket.